KARACHI, Jun 23 (APP): Renowned Qawwal Amjad Farid Sabri was laid to rest in Paposh Nagar graveyard, next to his father Late Ghulam Farid Sabri, on Thursday. His funeral prayers were held at Liaquatabad Road were led by Maulana Ahmed Deewan Massoud the spiritual heir of Sufi saint Baba Farid. Prominent members of the civil society, political leaders, artists and large number of his fans attended the funeral. Rangers and police guarded the route of the funeral. Shops along the route remained closed. Earlier, today his family received his body from the Morgue and took it to their Liaquatabad residence. 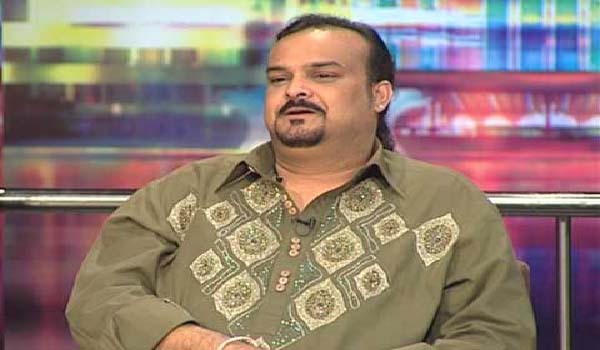 Sabri died of gun shots when unidentified armed men opened fire on his car in Liaquatabad area on Wednesday.